“I hope I am doing this right” – the heart cry of every parent. We all want our kids to have the best life possible. We want them to have good friends, stay out of trouble, be healthy, find a loving spouse, be successful, have character/integrity…. and the list goes on. With the future so unknown and with so much that we could fear – we all find ourselves on our knees frequently just praying “God help me”. 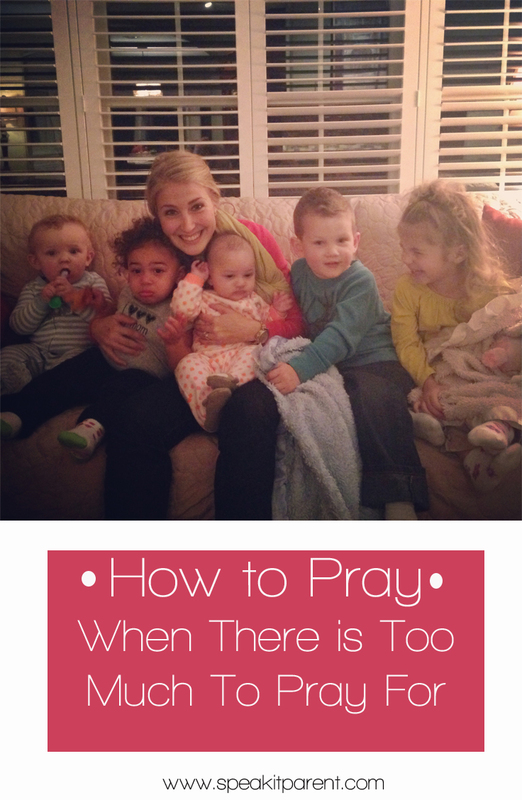 We frantically try to pray for everything we might ever need to pray for our children. May my kid know his/her worth.. May they know they are loved. Protect my kid from danger and from situations that would cause them harm..
Help my kid have a relationship with You and desire to live right. Help my kid be influential and leader for his/her generation. Strengthen my kid to make good decisions…. …. Oh, Lord…. just help! I can not possibly pray for every situation my child may encounter – but if my child knows God, knows His voice, and obeys His voice… I can trust that God will gently lead and guide my child through all the seasons of life. This scripture/prayer is such a great promise to stand on for our kids. Our kids obey/follow God’s voice. Speak it: God, I believe that Your Word says that as Christians we know You, know Your voice, and follow Your voice. Lord, I pray and believe that from a very young age all of my children will know you, know your voice, and obey your voice. In Jesus Name, Amen. Categories Pray it!, Speak it!